The second stop of the HWBOT World Tour in 2017 will take place at the Campus Party in Sao Paulo. The Campus Party is the country’s largest technology and gaming events, and this year celebrates its tenth year. The HWBOT World Tour team will host Overclocking Workshops that are free and open to all attendees. The climax of the even will doubtless be the World Championship Qualifier where Latin America’s top talent will battle it out for a place in the Finals at the end of the year. 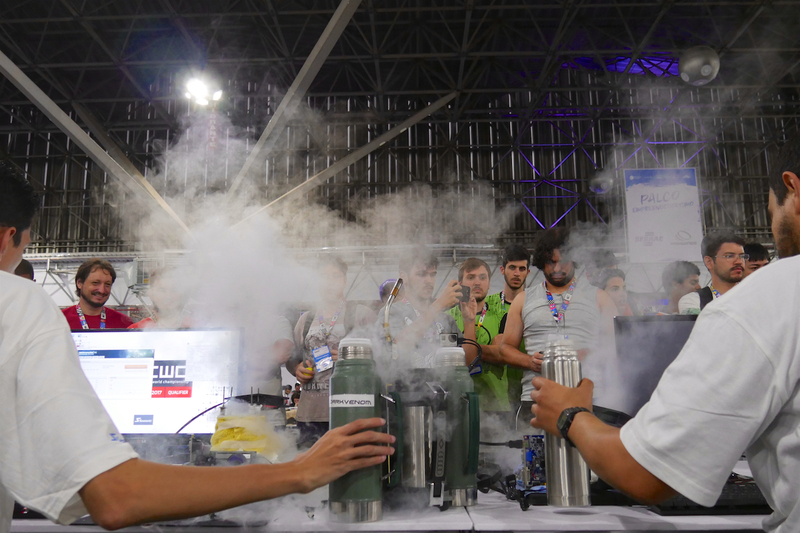 The HWBOT World Tour returns for its second visit to Sao Paulo Brazil, bringing Overclocking workshops, competitive Overclocking contests and more. 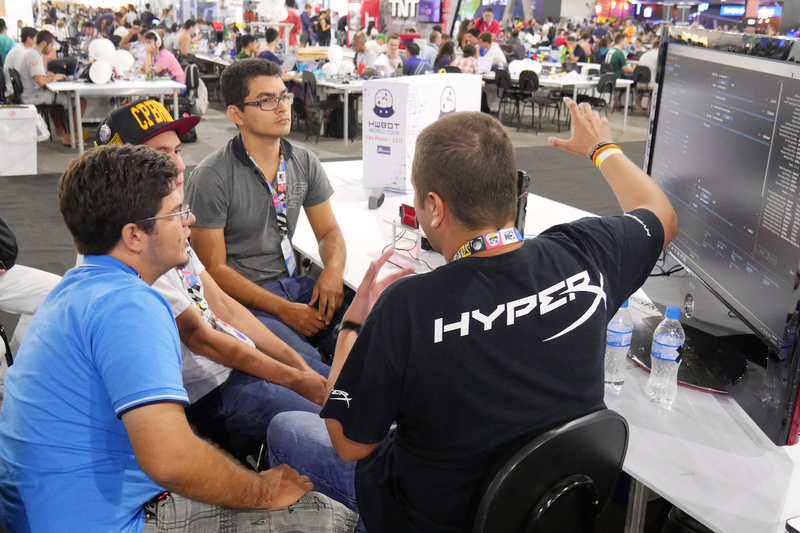 The core idea is to promote the concept of Overclocking to gamers and other enthusiasts in attendance at the Campus Party 2017, one Latin America’s biggest LAN parties. The event will feature three key elements; Overclocking workshops with ambient Overclocking contests, an Extreme Overclocking contest plus a more social OC Gathering. The best way to promote the art of Overclocking is to simply show people how it works and then let them try it for themselves. 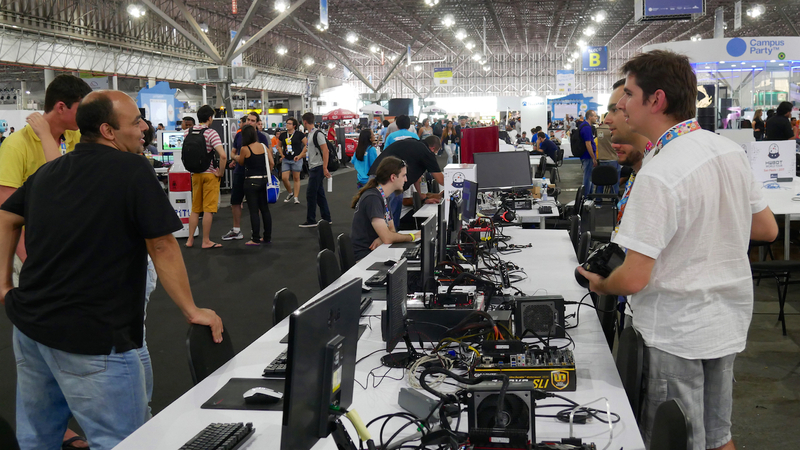 Campus Party attendees will be given exactly that chance with workshops sessions run by seasoned local overclockers. Attendees will be shown the basics of how to overclock a system’s CPU, followed by a chance to get hands on, run a benchmark and asses the improvement in system performance. Once familiar with the basics of system tweaking, they can then submit their highest score to an online Ambient Overclocking contest hosted on OC-ESPORTS. Prizes will be awarded to the contest winners. The region’s Extreme Overclocking contingent will be given the opportunity to compete in the Overclocking World Championship Qualifier contest. The contest winner will walk away with some great prizes and a ticket to the Overclocking World Championship Final at the end of the year – a fantastic chance to compete against overclockers from around the world for the right to be crowned World Champion of 2017. On the second day of the contest the top four Overclockers from the qualification stage will compete in a series of unique 1v1 format contests. Semi-Finals will be followed by a Bronze Final and a Final. Benchmarks will be randomly drawn from a pool of six options. Each overclocker will possess one veto which can be used strategically to avoid an unfavorable benchmark being selected. Space will also be made available for Overclockers who simply want access to LN2 and the chance to meet and mingle with other like-minded people. It’s a great opportunity to put faces to names and make new friends in the Latin American OC scene. (Note: This is a preliminary schedule and is subject to change). The event is hosted on the Campus Party Brazil. The venue itself is call Anhembi and it’s Sao Paulo’s largest exhibition hall. Overclockers who want to compete in the OCWC Qualifier can purchase a ticket which will include contest registration and access to unlimited LN2. This also covers Overclockers who simply want to enjoy the OC Gathering (i.e. contest participation is not mandatory).